Mothers are exceptional creatures. They have super powers to fight against any and everyone when it comes to their child. A mother do not think before sacrificing anything if that can make the child happy. A mother’s prime concern is the safety security and happiness of the child. The characteristics don’t only apply to humans but are the same for all the species. Be it a human or a dog, no mother can stand anything that is troubling her child. Mothers are mothers and they remain same disregarding the species they belong to. The love is the same and it can never be different. A mother dog was caught up in a fight with a cobra snake that was trying to harm her pups. The dog family lived in the backyard of a house in India. They lived inside a bunker in the backyard. A cobra snake while wandering around found his way inside the bunker where the pups were resting. The cobra got in and killed two pups. The mother dog was furious and wanted to protect her babies. She started barking at the snake who killed two of her puppies and was trying to kill more. The dog was worried and kept pushing her pup on the side while the snake hissed at it. 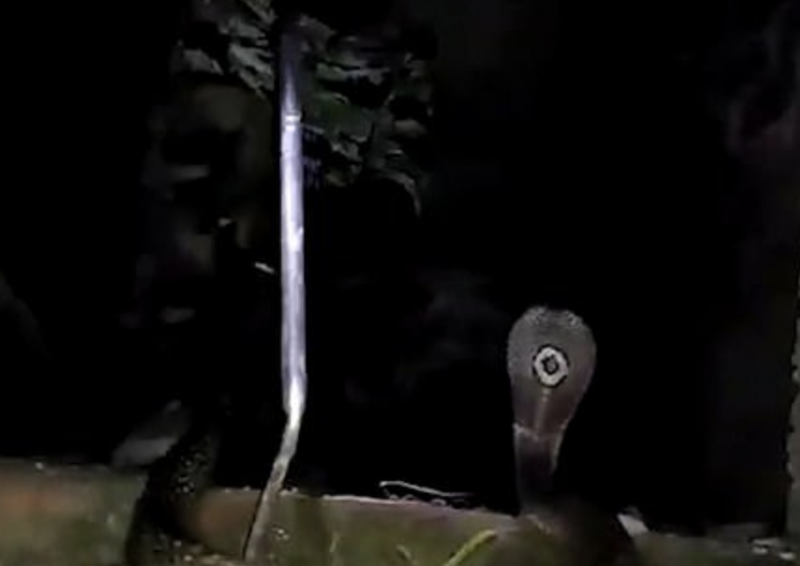 The snake took out its hood and became more aggressive. A video of the entire incident was shot by a local who said that the snake was very aggressive and he had to kill someone so he killed the pups. 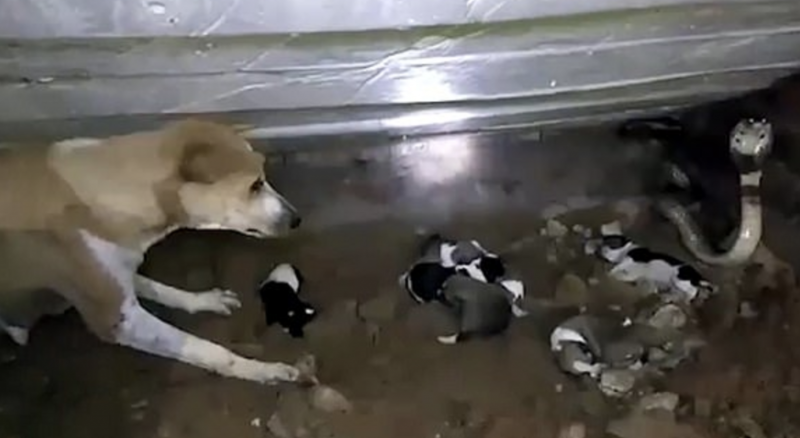 The video shows the mother constantly barking at the beast while her dead pups were lying on the floor. More of her pups were inside the shelter and she was just concerned about protecting them. The snake almost bit the dog more than 3-4 times but the dog kept fighting to protect its babies. The man who shot the video said that they tried to pull the snake out but it was out of control and that is why it took so long. At last, they pulled the snake out with the help of an iron rod.